As of April 1st, there were 851 single family homes available for purchase, which is just over a 5% decrease from the beginning of March. Although we had a monthly decrease, the available inventory since last year has increased 43% providing needed relief to home buyers in our region. Sixty-eight percent of available homes are priced under $600,000. 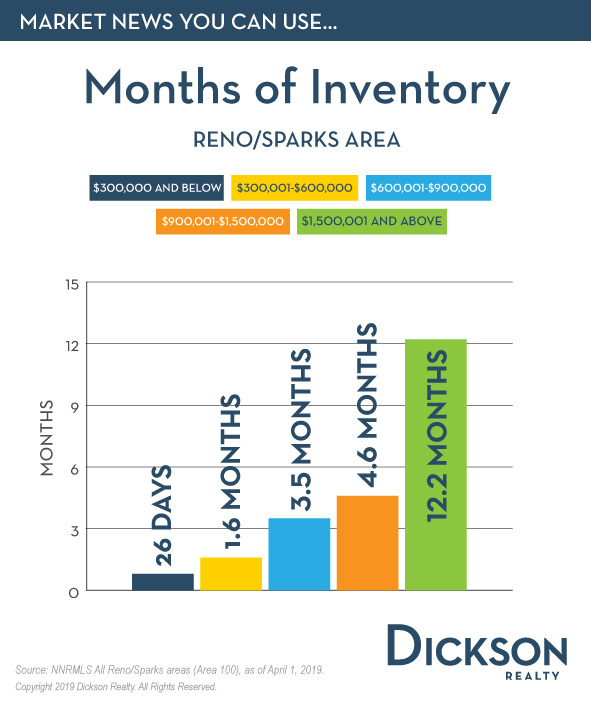 For homes priced under $300,000, we have about 26 days of inventory, and for homes in the range of $300,000 to $600,000, inventory is 1.6 months. If you own a home in either of these price ranges, it is a good time to sell with little competition in the marketplace. Inventory of homes priced from $600,000 to $900,000 is 3.5 months. The $900,000 to $1,500,000 price range represents the most balanced market with 4.6 months of inventory. For homes priced over $1,500,000, we have a 12.2 month supply. A five to six month supply of homes represents a balanced market, where neither buyers nor sellers have a distinct advantage. The number of home sales this year is down 20% from this time last year. We attribute much of this decrease to wintry weather in the first three months of this year, which generally slows down the market. 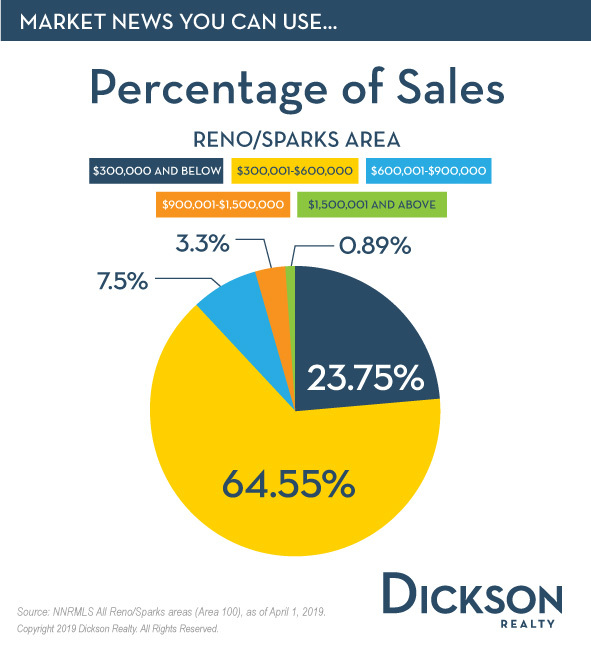 88% of year-to-date home sales in Reno/Sparks have been under $600,000, and 8% of sales have been between $600,000 and $900,000. About 4% of sales have been over $900,000. 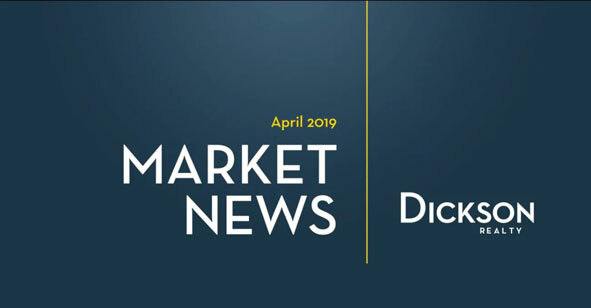 If you would like to take a deeper look into the market conditions of your neighborhood, contact your Dickson Realty agent today.